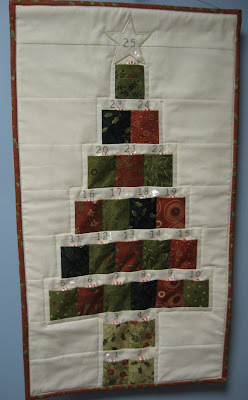 Hooked on Needles: Reverse Plus Quilt ~ All Finished! 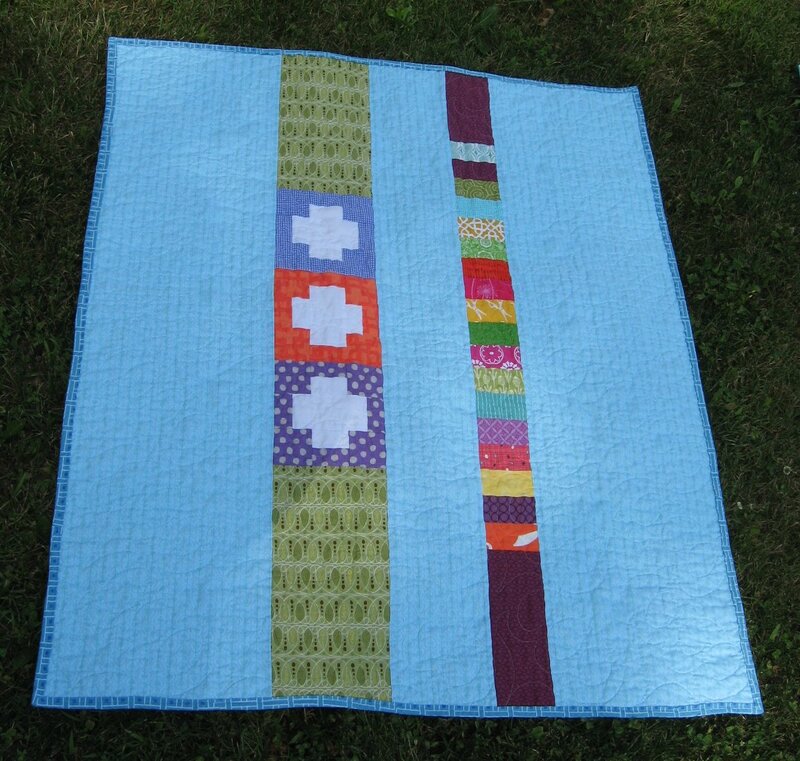 Here's the reverse twin of the Plus Quilt I showed here yesterday. This pattern was included with the Plus Quilt pattern from CluckCluckSew...kind of a two for one deal! 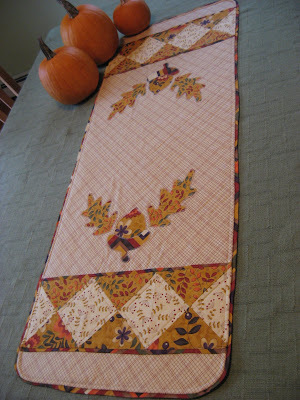 As with the first one, this plus quilt was made using charms from the many charm swaps I have enjoyed recently. I always take two spots in a charm swap so I will get two of each charm. 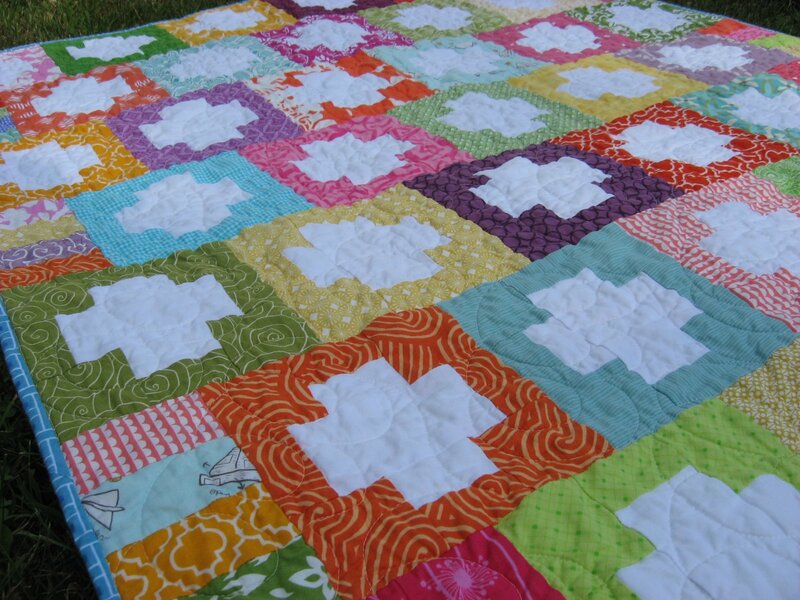 This quilt required two charms of each print to make the reverse plus block. 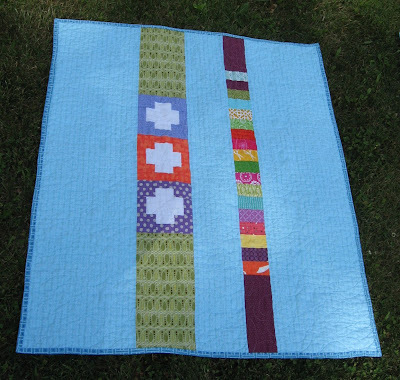 Isn't that just the cutest baby quilt? All that contrast and color! I made a few extra blocks and pieced them into the backing, along with the rectangles also leftover from making the blocks. 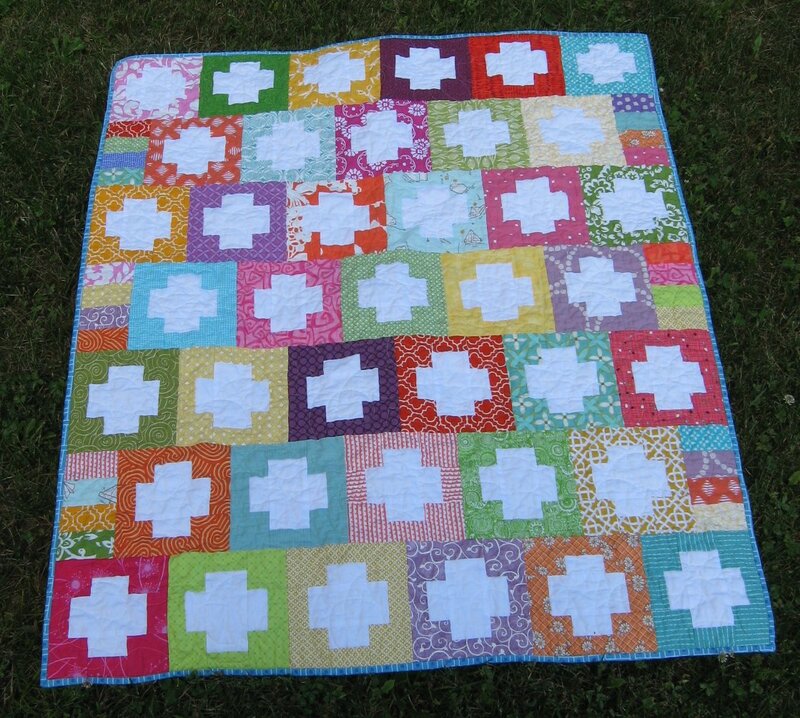 So this is quilt number 3 from my recent dates with the long arm machine. I have one more to show, and then on to some new projects! 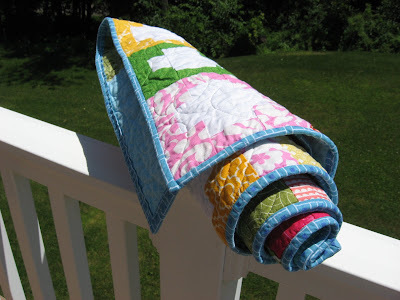 I hope your summer plans include some productive and satisfying sewing, quilting, knit or crochet!